The most popular of all Orchids you can buy, you will even find Cymbidium Orchids for sale in supermarkets and furniture stores. However it is through online sales that the largest variety to be found is largest. 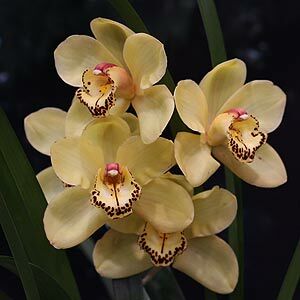 Cymbidium Orchids offered in nurseries and online are nearly always hybrids. With new releases coming onto the market every year the choice of flower co9lour is huge. However we should not over look the Cymbidium Orchid species that are also available, many easy care and with attractive flowers. 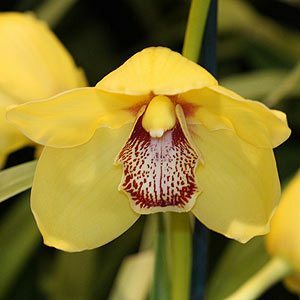 In general the varieties offered are a ‘cool growing’ orchid, this makes them easier for the home gardener, however some of the species are a little more fussy. So what about price ? This will depend on the actual variety, with new releases and some of the spectacular species being expensive, in general they are a cheap and yet rewarding orchid to grow. In most cases plants are sold as mature specimens ready to flower, however a cheaper alternative is to look for ‘back bulbs’, they will take a little longer to flower though. Also offered as clones, these are often sold in flasks and are readily available for sale, great if you are looking for quantities for yourself, a club or to grow on and sell. Look for reputable nurseries where you will find virus and disease free plants. These growers provide quality established plants and bulbs, the cheap alternative is not always the best. As for colour range, all with colorings on the lip you can find anything from pure white through to yellows. green, reds depending on the grower. Exclusive Australian Agents for Hatfield Orchids, U.S.A. Specialise in Cymbidium orchid seedlings & flasks. World leader in development and supply of quality cymbidium orchids for pots, cut flowers, professional growers and hobbyists.